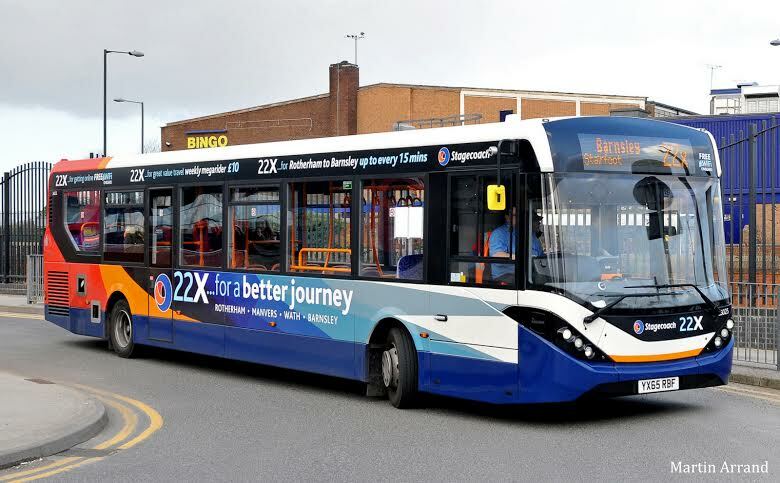 According to a joint news release between Rotherham Bus Partnership and bus operators First and Stagecoach a £7m investment in Rotherham’s bus network has been announced. Rotherham Bus Partnership is enticing visitors from neighbouring towns and cities by introducing over 30 state-of-the-art new vehicles on its routes from Barnsley, Doncaster and Sheffield. complete with new luxury e-leather seat interiors and USB charging points. Low carbon certified, the buses are amongst the most fuel efficient buses on the market and, fitted with Euro 6 engines, contribute to better air quality. 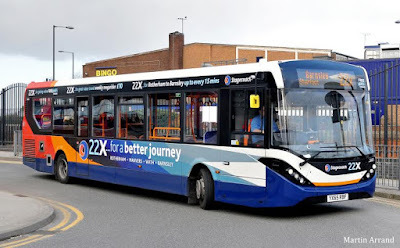 Stagecoach has introduced 10 new single deck Alexander Dennis Enviro200 MMC vehicles, operating on its 22X route between Barnsley, Wombwell, Wath, Manvers, Parkgate and Rotherham. The new generation model is to the latest Euro 6 specification, carries more passengers than its predecessor and is 200kg lighter, making it more fuel efficient. It also has an advanced electrical system and suspension for improved reliability and passenger comfort. Rotherham Council’s Advisory Cabinet Member for Jobs and the Local Economy Cllr Denise Lelliott said the introduction of the new vehicles would encourage more people to travel by bus, and promote public travel across South Yorkshire. She added: “There’s never been a better time to visit Rotherham, particularly given our recent success in the Great British High Street awards. 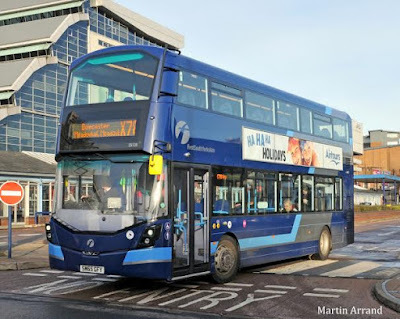 The introduction of these fleet of vehicles by First South Yorkshire and Stagecoach Yorkshire means passengers can travel here in luxurious comfort, as well as knowing that they are doing more than their ‘bit’ for the environment. The new vehicles are part of an ongoing investment commitment by Rotherham Bus Partnership, which brings together local bus operators First South Yorkshire, Stagecoach Yorkshire, Stagecoach East Midlands and TM Travel, South Yorkshire Passenger Transport Executive (SYPTE) and Rotherham Council in a bid to improve the town’s bus services and attract more people onto public transport. Customers are already seeing vast improvements to their services since the Partnership was introduced in 2014, with improved punctuality and reliability, value-for-money tickets and increases in patronage including an upturn in child travel.